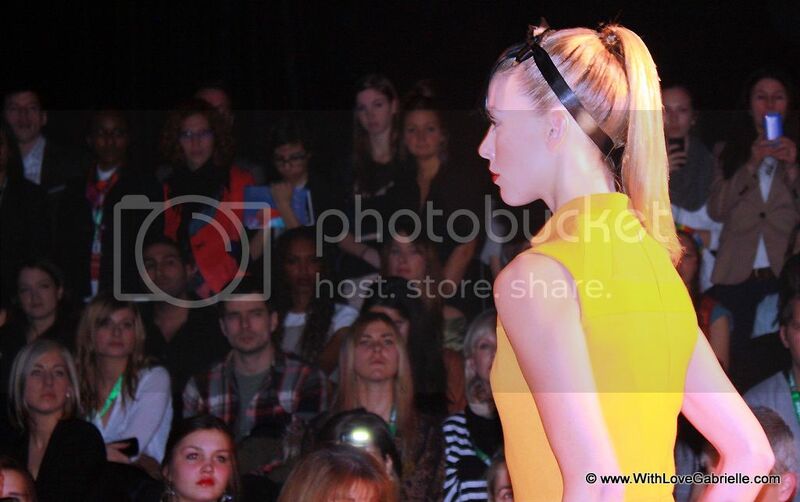 Hello Darlings, It’s been a wonderful first experience covering Montreal Fashion Week. 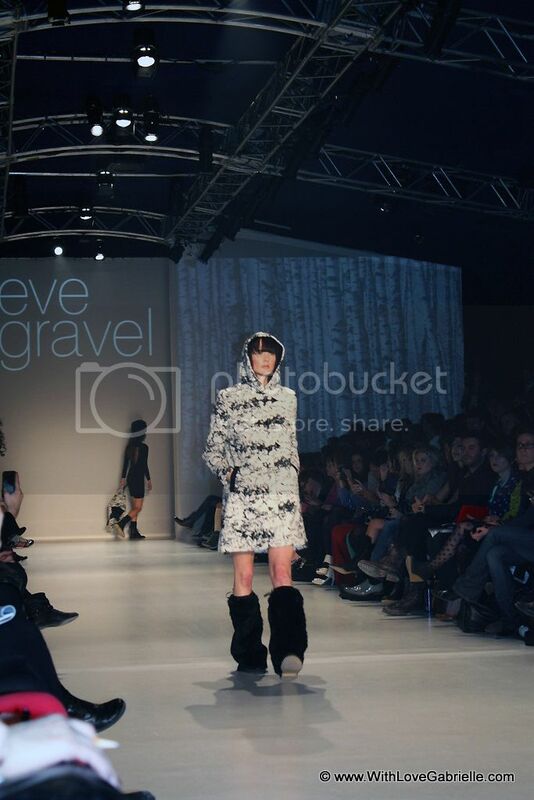 My top three favourite Montreal designers so far are Melissa Nepton, Tavan & Mitto, and Eve Gravel. Melissa Nepton was featured in my Tuesday post, so here are my impressions and photos from the Tavan & Mitto and Eve Gravel shows. I was very impressed by the new collection from Tavan & Mitto, whose designs are feminine and classic. The collection features sequin dresses, semi-sheer skirts, and structured jackets. My absolute favourite is the adorable semi-sheer tutu! All the models wore Aldo bejewelled bow heels—which I love, and luckily own a pair — and sleek ponytails with ribbon bow details. It was modern glamour done in a refined way. 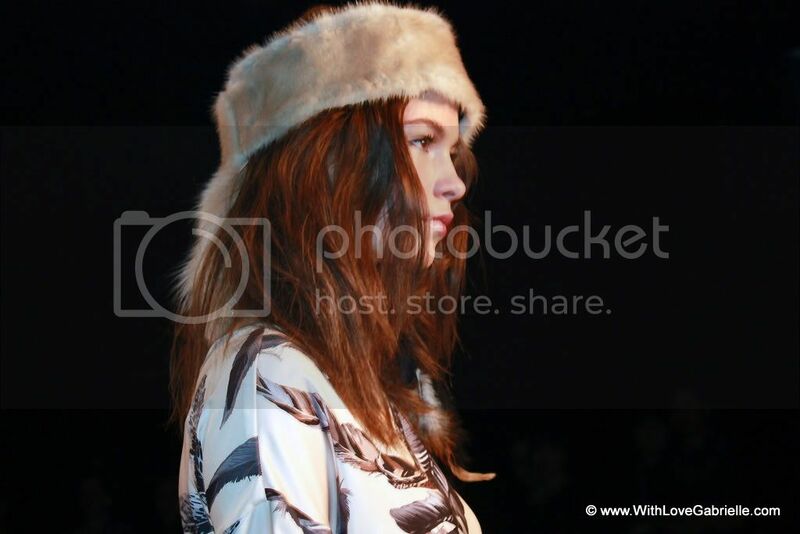 The entire collection was my style, and I could see myself wear every single piece. Eva Gravel show also was impressive, with an indie feel with lots of feathers and furs, which reminded me of modern day Pocahontas. The collection featured unique coats and cute dresses, which were very wearable. 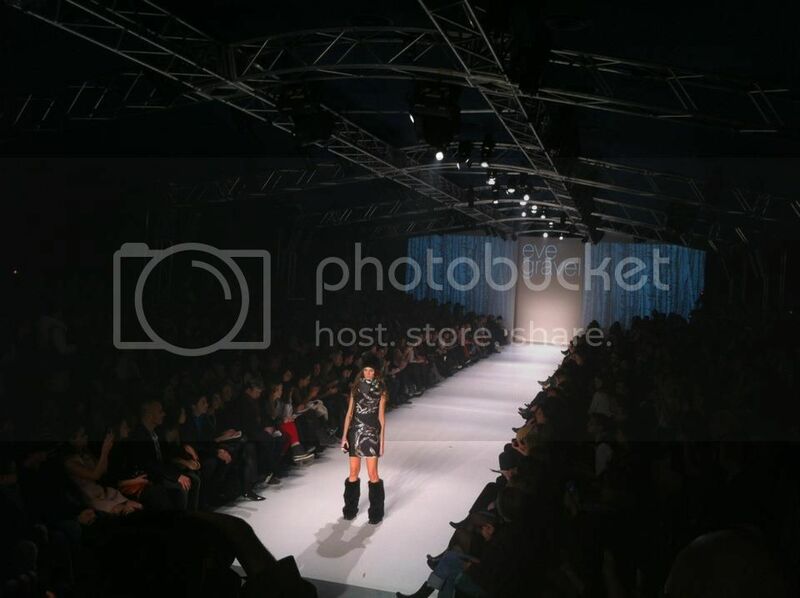 Every look was complemented by fur boots, similar to those seen on runways of D&G winter 2010. 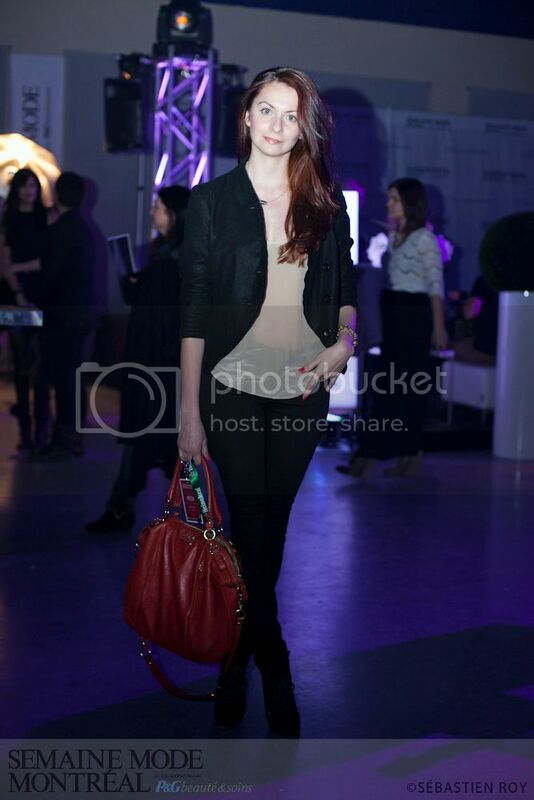 So far I am very impressed with my Montreal Fashion Week experience. 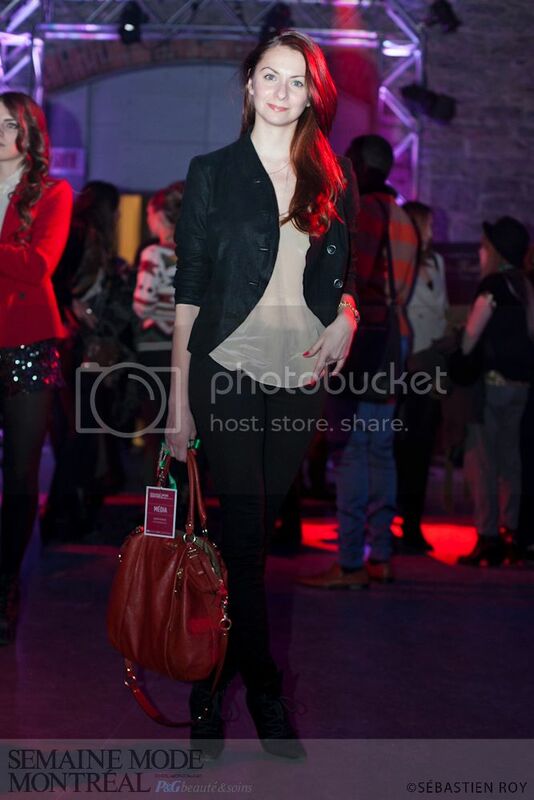 Old Montreal and the Marche Bonsecours venue is a very picturesque backdrop for a fashion event. And it was interesting to read, “For the first time this year, Montreal was included on the list of the top 50 fashion capitals as reported by the Global Language Monitor,” stated Jean-François Daviau, producer of Montreal Fashion Week. Since the tone of the entire event was laid back and easy, I decided to wear something fitting for the occasion. Instead of resorting to one of my favourite cocktail dresses, I slipped into a silk camisole and jeans. 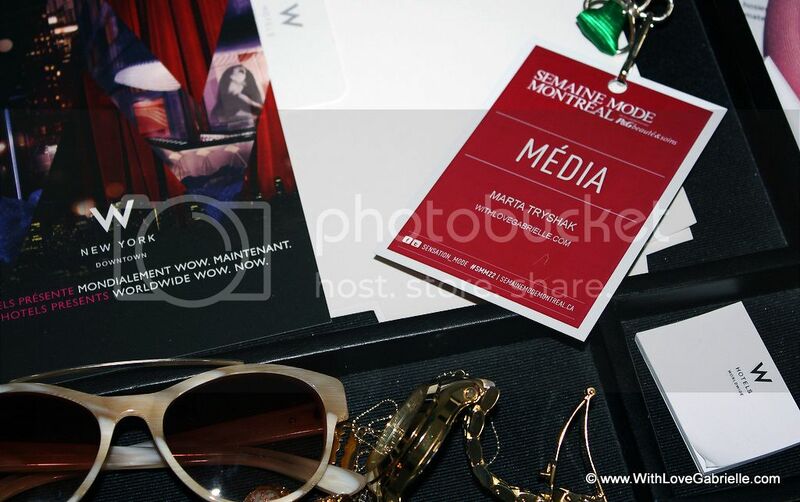 For more Montreal Fashion Week image and inside view into my trip, check out our Facebook. I will be uploading an entire album.